To live a life of faith is to honor God in my actions, character, attitude, and choices. 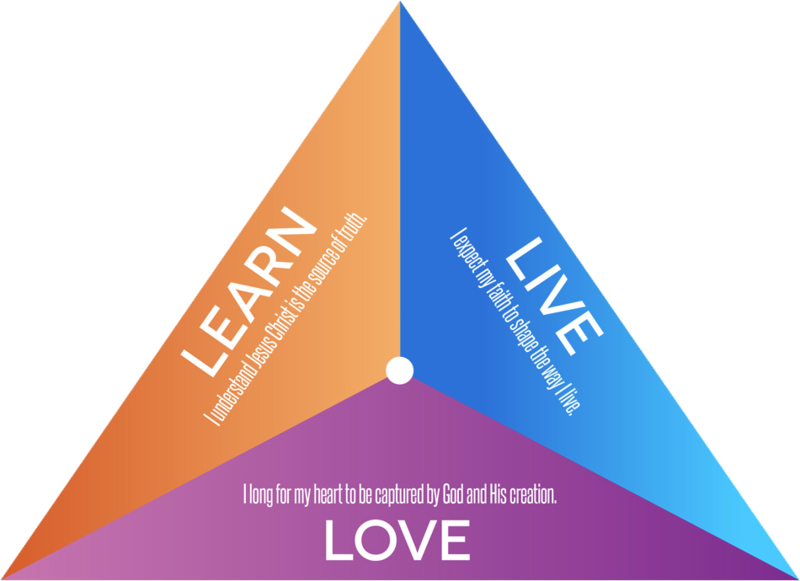 To live missionally is to fulfill God’s will by living the purposeful life God has designed for me. To live evangelistically is to share the gospel and my testimony with everyone God places in my life. To learn is to know God and His Word. To learn Apostolic distinctives is to understand the new birth, Oneness theology, and the working of the Holy Spirit in our lives. To learn the proper lens through which to see the world is to develop a biblical and Apostolic worldview. To love God is to know who I am in Christ and to have a vibrant, growing relationship with Him. To love the church is to be connected to and in fellowship with others in the body of Christ and to worship in community. To love others is to live in God-honoring relationships with family, friends, and others.